NPE2018 is only four weeks away, and we hope to see you there. If you plan to attend, we'd like to offer you and your colleagues a FREE exhibit hall pass with our compliments - please click HERE . By day, we will be presenting our new V12 Component Catalog w hich will be our largest product line offering ever. Then, after a long day of hiking the miles of aisles, we invite you and your team back to our booth - W4871 - for our exclusive VIP Event to enjoy the greatest live "Progressive Rock" that can be found anywhere! Progressive is proud to have recently been named the 2018 Plastics News Best Places to Work. The announcement was made last month at the Plastics News Executive Forum, where company owners, Glenn and Don Starkey (pictured above), accepted the award. “The path to customer excellence is the result of our highly engaged employees," said Don Starkey, when accepting the award, crediting the company's 70 employees for helping to make this award possible. Progressive works to have the best team in place, to meet the needs of the best molders and mold builders in the industry. Click HERE to learn more about Plastics News Best Places to Work award, along with information on our crew and our culture. 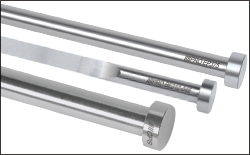 We recently increased our Ejector Pin core hardness to 48-50 RC, and expanded the product line with sixty new sizes for our Inch, DIN, and JIS standard pins. 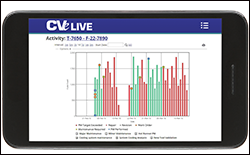 Mold monitoring technology continues to advance for our CVe Monitor and CVe Live products, with an array of new features to be introduced NPE2018, in Orlando. 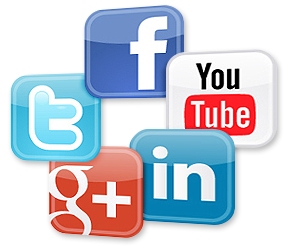 Progressive Components is active in the social media scene, and subscribes to Twitter, LinkedIn, Facebook, Google+ and YouTube. We invite you to connect with us on any or all of our social media platforms so that we may help each other spread the word on important information related to our industry. Entire contents Copyright 2018 by Progressive Components International Corporation. All rights reserved.